Thinking about buying or selling a home in LionsGate? "In today's real estate market - how much is my LionsGate home worth?" Can I see the homes currently listed for sale in LionsGate? 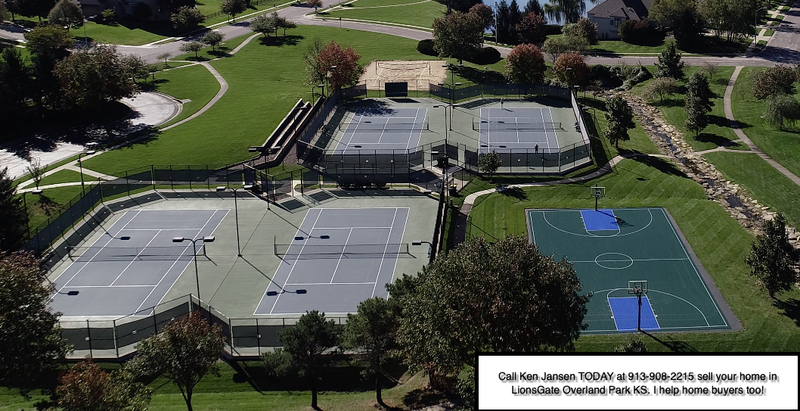 LionsGate is an upscale community convenient to Kansas City, Kansas and Kansas City, Missouri. LionsGate is located at (approximately) 143rd and Nall in Overland Park KS 66223. The community is bordered by 143rd street to the North, Nall to the East, 151st to the South and Lamar to the West. LionsGate is in Johnson County and is the Blue Valley School District. LionsGate homes are spacious and luxurious, and the amenities are impressive. The homes range in size of just under 3,000 feet to over 6,000 finished square feet. Most homes in LionsGate have 4 or more bedrooms and 3.5 or more bathrooms. Most homes have garages for 3 or more cars. An average homesite or lot will be in the 1/3 acre range. There is a huge clubhouse overlooking a lake where you can entertain hundreds of friends. A sand volley ball court offers afternoon summer fun and neighborhood league play. A large pool lets everyone cool down and meet the neighbors. Other amenities include an outdoor basketball court along with 40 acres of private community green space for sports, parties, or picnics. There are shops and restaurants within walking distance at 143rd and Metcalf. If you go to Tanners, look for Ken! Call Ken Jansen at (913) 908-2215 when you’re ready to buy or sell a home in LionsGate. LionsGate Enclavee is a secluded plat, or section, of LionsGate with homes in the $700,000+ range. There are just a few dozen homes in the Enclave, so there may not be homes available for sale in this exclusive community. If you have your heart set on the Enclave, let us watch the market for you and alert you to opportunities. Sign up for our exclusive alerts . 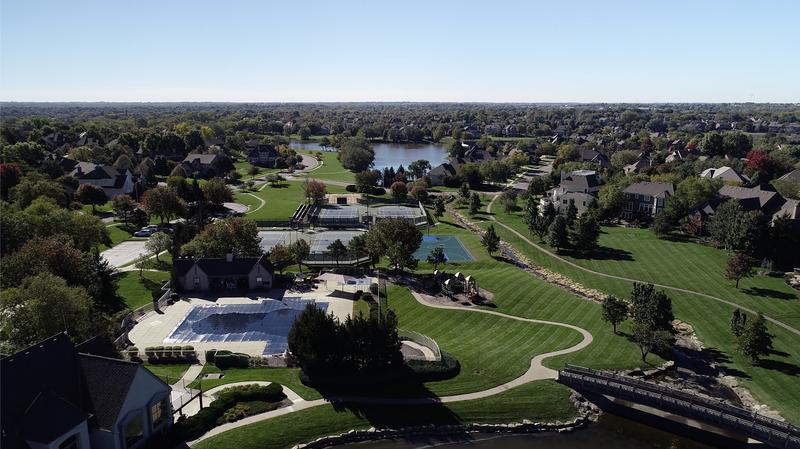 The Links at LionsGate is another subdivision on the North side of 143rd Street. Who built the homes in LionsGate Overland Park KS 66223? Nearly every top Kansas City builder is represented in LionsGate. Harrington Development, along with many other excellent builders have built in Lionsgate.